Sacroiliac injections can be used for diagnostic or treatment purposes. 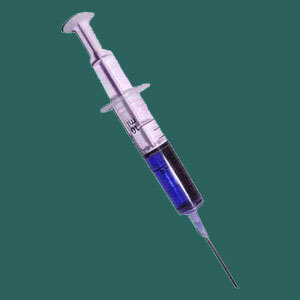 Injections are used throughout the dorsalgia industry, but are especially well known for their applications in the evaluation and treatment of virtually all varieties of SIJ pain. Injections are usually considered therapeutic modalities and are used for providing pain relief and other beneficial effects. However, for sacroiliac joint concerns, they are used for a wider range of objectives, including inducing natural healing response, tightening or loosening dysfunctional ligaments or even helping to identify the underlying cause of pain in regional symptomatic syndromes. This focused essay explores the use of injection techniques for SIJ pain conditions. Most sacroiliac joint pain conditions can not be diagnosed with visual evidence, such as that presented by virtually all spinal irregularities like disc desiccation, herniated discs and spinal stenosis. Most x-ray and MRI testing will not provide conclusive evidence of any SIJ pathology and most objective diagnostic evaluations will not produce any scientific results at all. It is no surprise that the vast majority of all sacroiliac diagnoses are achieved subjectively using a range of manipulation and palpation techniques that are documented to be rather inconclusive in virtually all cases. Doctors have addressed this very substantial problem through the utilization of diagnostic injection therapies. In these practices, patients with suspected SIJ problems are given a series of 1 to 3 anesthetic injections over the course of 1 to 3 sessions (several weeks apart) and studied for results. The injections are given directly into the sacroiliac joint and if they relieve pain, then doctors consider this proof positive for sacroiliac pathology of some type. Further diagnostic subjectivity is then used to narrow down the remaining possibilities in terms of sacroiliitis, hypermobility or hypomobility. The problem is that the substances are powerful anesthetics and can numb pain in a wide region, including within the sciatic nerve or pudendal nerve in some instances. Diagnostic injections like this has been widely scorned in other areas of medical science, but remain the industry standard for positive confirmation of SIJ issues, simply because they offer the best efficacy of all the poor diagnostic practices available. 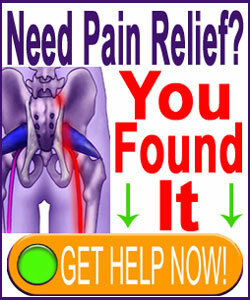 Nerve blocks are widely used for sacroiliac joint pain problems. These anesthetic injections consist of drugs, anti-inflammatory substances and/or hormones that can reduce or even eliminate pain throughout the joint for an unknown duration of time. Generally efficacy endures between several days and several weeks, with 3 months being about as long as one might hope to enjoy symptomatic reduction. Some patients do not enjoy good results from these injections, with a very short duration of pain relief being the most common complaint. Additional negative factors associated with nerve block injections include decreasing efficacy with each subsequent round, escalated pain in some patients and the possibility for infection or even nerve damage in rare instances. We have seen an increase in the use of prolotherapy, which utilizes injections of a natural irritating substance (sugar water or cod liver oil, typically) to elicit a natural healing response within the damaged tissues of the SI joint. Prolotherapy is most effective for decreasing hypermobility that is caused by degenerated ligaments surrounding the joint. Prolo injections feature fewer and less significant risks than pharmaceutical injection therapies, making them strong contenders for positive recommendations in our book. We have also seen an increase in the use of minimally invasive injection therapies for treating both hypermobility and hypomobility caused by overly lax or taut ligaments using various pharmaceutical products. These injections are similar to prolotherapy in their goal, but accomplish their task with drugs which are known to be far more dangerous to the body.